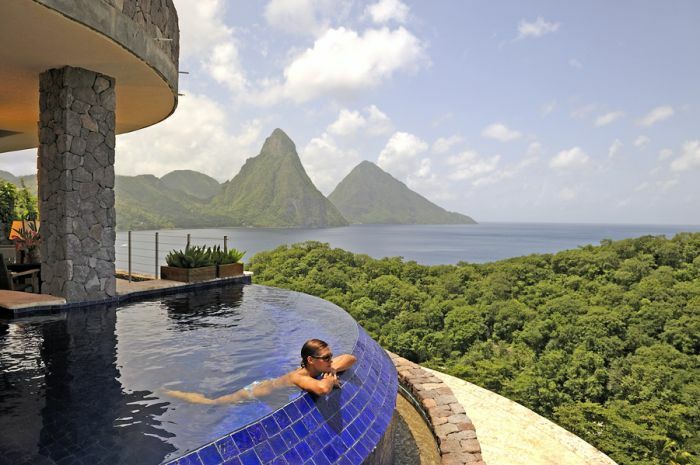 Individual bridges lead to the 24 superb suites where you’ll feel you are on top of the world and at one with your breathtakingly beautiful natural surroundings. All are single level and open-fronted, and each features a spacious bedroom and living area merging behind a private infinity pool. 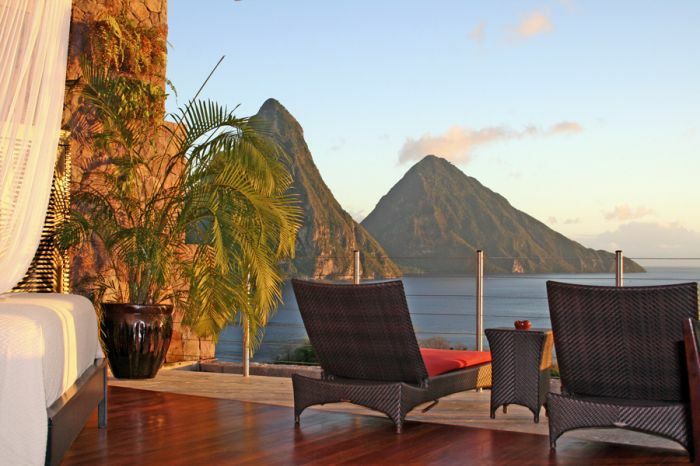 The views, as you will imagine, are unsurpassed. 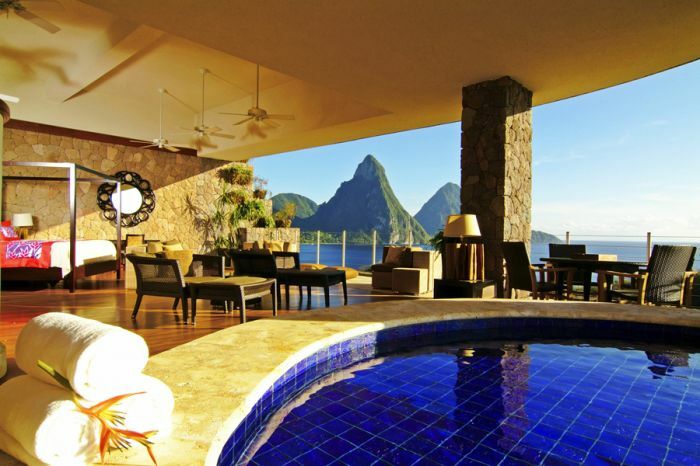 Enjoy spa treatments in the privacy of your own sanctuary or lounge on the Celestial Terrace of the Jade Mountain Club. Rest assured, your whole experience here will be truly unique and completely unforgettable. 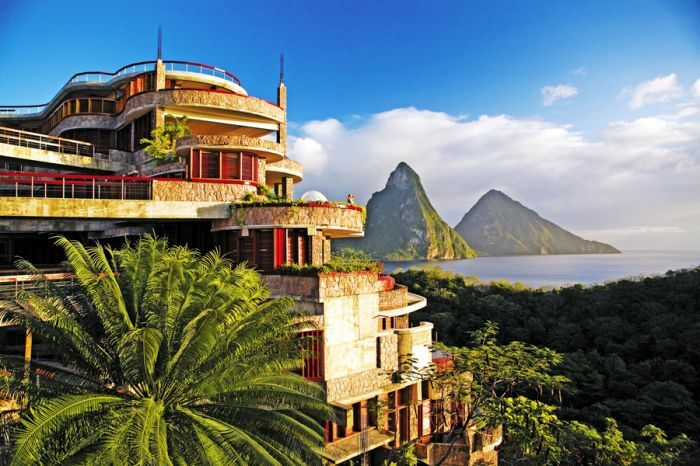 Restaurants include the exclusive Jade Mountain Club and Anse Chastanet’s Piti Piton, Treehouse Restaurant and The Trou au Diable. There is a small fitness centre, beautiful Kai en Ciel Spa, two beaches, pristine coral reefs, PADI dive centre, ocean kayaking, deep-sea fishing and jungle biking centre. The Botanical Gardens, rainforest and drive-in volcano are all nearby. We like: The peace and quiet - the resort is adults-only and children under 15 years are not permitted, plus there are no TVs, radios or telephones in the rooms to distract you.